Shouldn't be pork instead? That's what you have in mind. But since I couldn't find a pork that has fats included or skin included I preferred chicken instead. 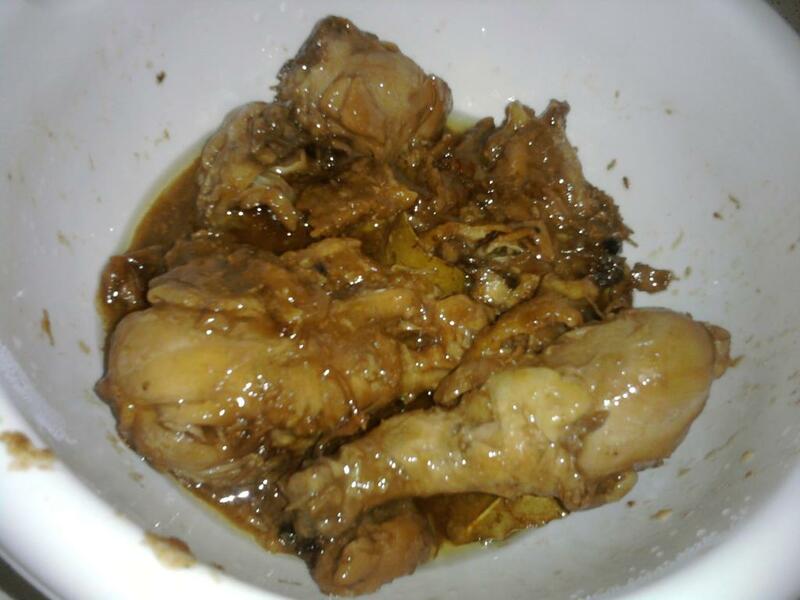 I have been craving to eat Humba since and I couldn't find a very simple and easy recipe online. Until one of my friend recommended me to go into this website where she learn so many things in cooking. From Filipino foods up to how to make them perfectly. I was in a hurry to go into that website and yes, I do find it very much helpful. I am no cook at all. But since I am in a foreign country, by myself without a cook like we [pinoys] used too. I have to cook in order to eat Filipino dishes. I love it, my husband love it and we enjoy eat the whole thing. It is less fatty since chicken don't have much fats at pork. But at least I make it perfectly. I don't have the whole ingredients for I couldn't find it in our store nearby. Still the whole viand turns out perfect. I can't wait to make another more.